VISIT our customization guide to explore all the ways you can tailor this design to your personal wedding style. VISIT our easy-to-use pricing calculator for a custom quote. Check this set out in person! Click below to order a sample package delivered right to your doorstep. Head over heels? Let’s get the show on the road! Visit our inquiry page to send us your details and request a first pdf proof. 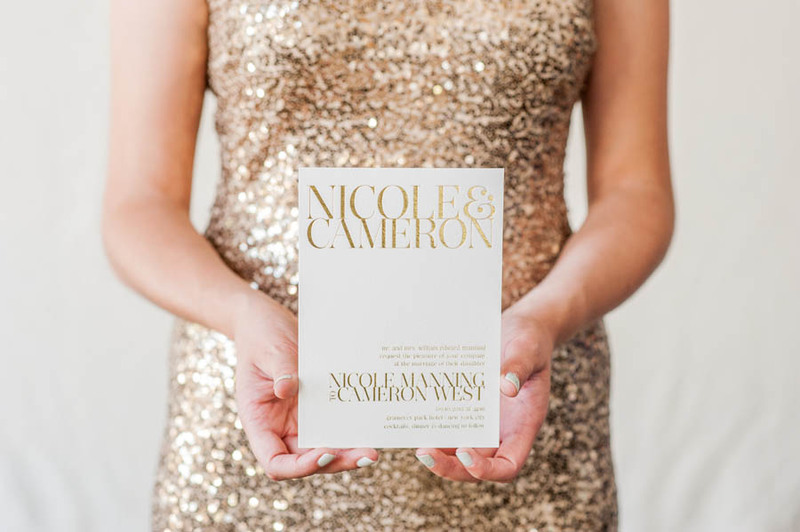 Our talented paper stylists will be in touch within 24 - 48 hours Monday - Friday (we like to sleep in, brunch, and sip champagne on the weekends)! 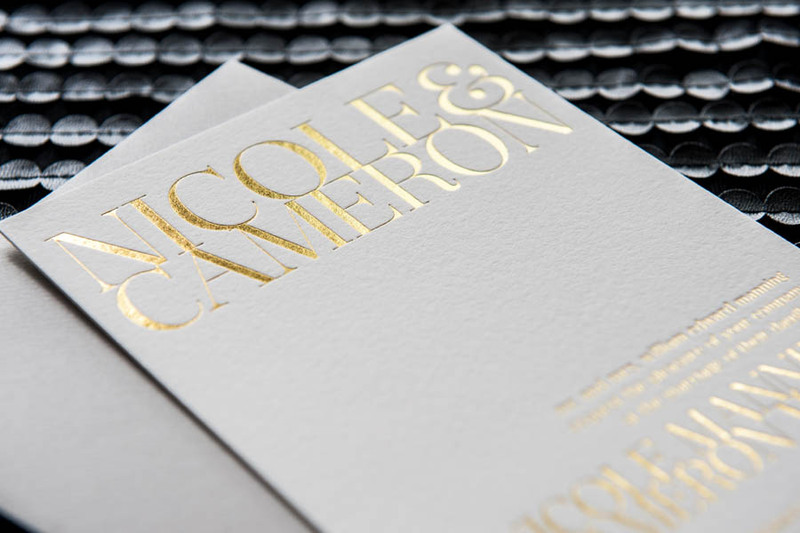 DESIGN NOTES: The Gramercy invitation suite is bold and modern with a definite emphasis on striking typography. We think this suite is the perfect statement-maker for the couple that isn’t afraid to stand out. Make it yours! Visit our inquiry page to share your wording and customization preferences, such as ink color, fonts and paper color. Clicking the submit button doesn’t require a deposit or payment of any kind. We’re confident that you’ll be head over head for what we create for you. 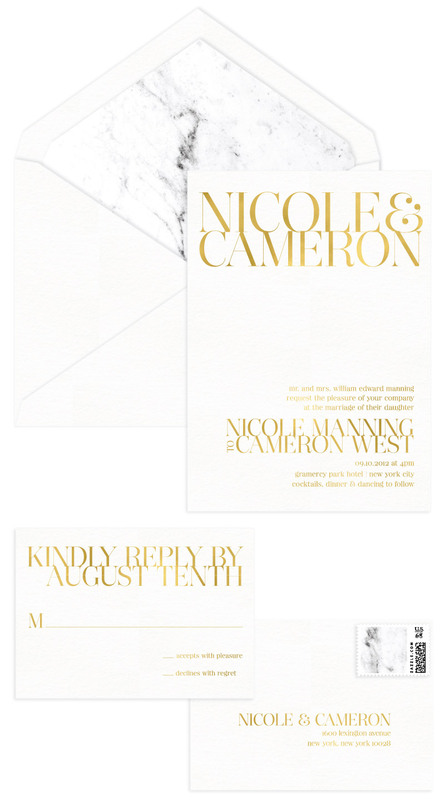 Our talented and knowledgeable paper stylists will send a little love straight to your inbox in the form of a preliminery pdf proof of your invitation or save the date card. They will also make sure you have a pdf personal cost estimate for review. If you decide to move forward after reviewing the first proof, your stylist will direct you to our ordering page where you can enter the wording and customization preferences for your full suite. She will update your proof from there for you to review. We offer five free proofs for all house design orders, so feel free to send your stylist all the changes your heart desires. She will be happy to send updated proofs until everything looks perfect. 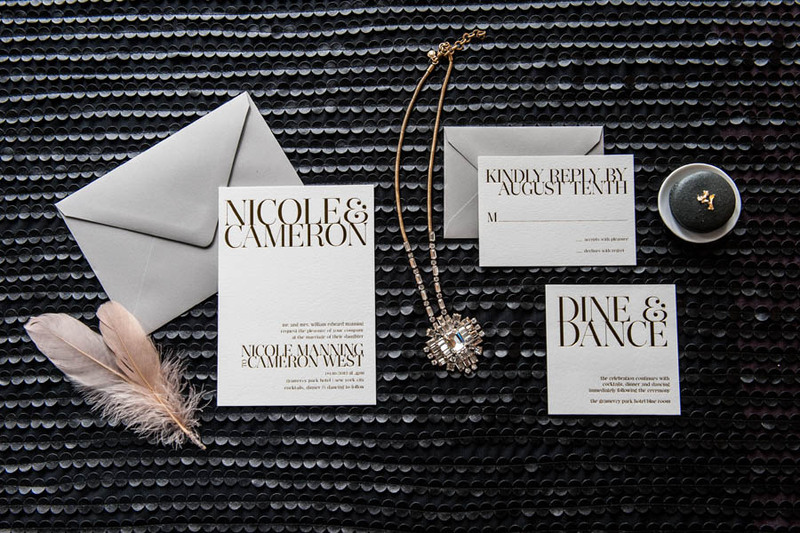 Your stylist is a stationery expert, etiquette aficionado and style guru. Feel free to ask her advice whenever you need a second, third, or fourth opinion! Once a final proof is approved (victory! ), your stylist will send you a link to our finalization page where you can confirm your final details and provide formal proof approval. After receiving your finalization, your invoice will be emailed over for review and payment. 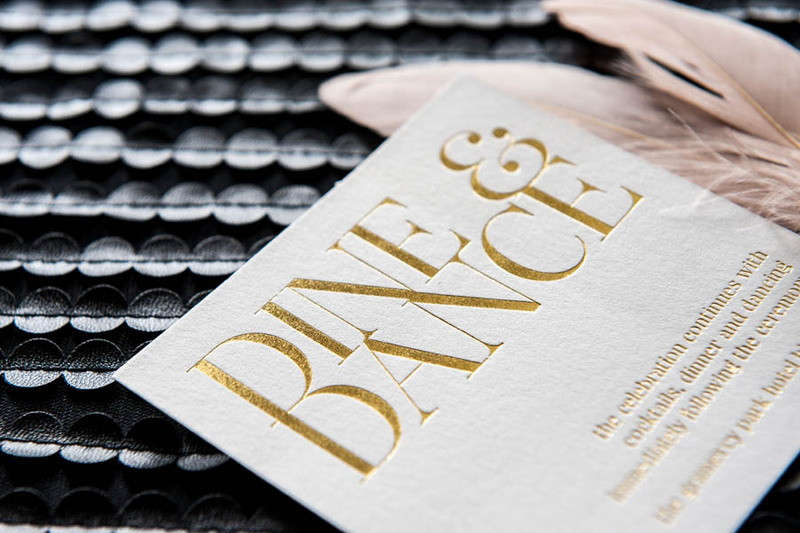 As soon as your invoice is paid, your stylist will give you a virtual high five, make herself a latte and send your order off to our talented print production team! This is where the magic happens! Our print production time is 2 to 3 weeks, depending on the season. Orders with assembly or calligraphy will have a slightly longer turnaround time, check with your stylist for precise timing! Once your suite ships, transit time depends on your shipping selection (ground 5-7 days | priority 3 days). All orders are shipped with tracking and signature confirmation. And then, the very best part of all! Receiving your carefully and joyfully packaged suite and lovingly sending them out to your nearest and dearest!